It's always nice to work on projects close to home so when the Friends of Kynaston Gardens commissioned us to design and paint a large typographic mural just a stones throw away from the studio we jumped at the chance. 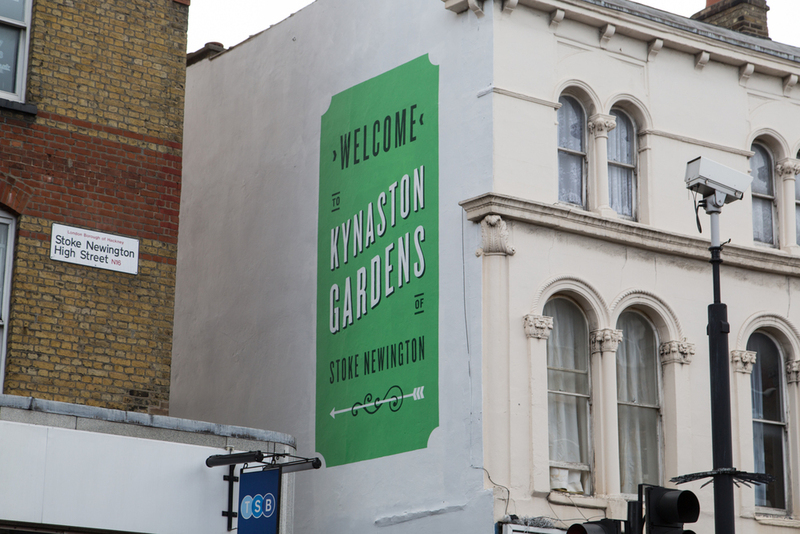 The mural intends to point people in the direction of the community garden in the heart of Stoke Newington. They wanted a classic aesthetic, inkeeping with the area's vast amount of ghost signs and preserved examples of traditional signwriting.